Greetings! Fridays make me so happy! A couple months ago, my best friend got me a gift card from Sephora for my birthday. Rather than get a ton of Formula X polishes, I spent the gift card on a couple of higher end polishes that I typically don't buy. 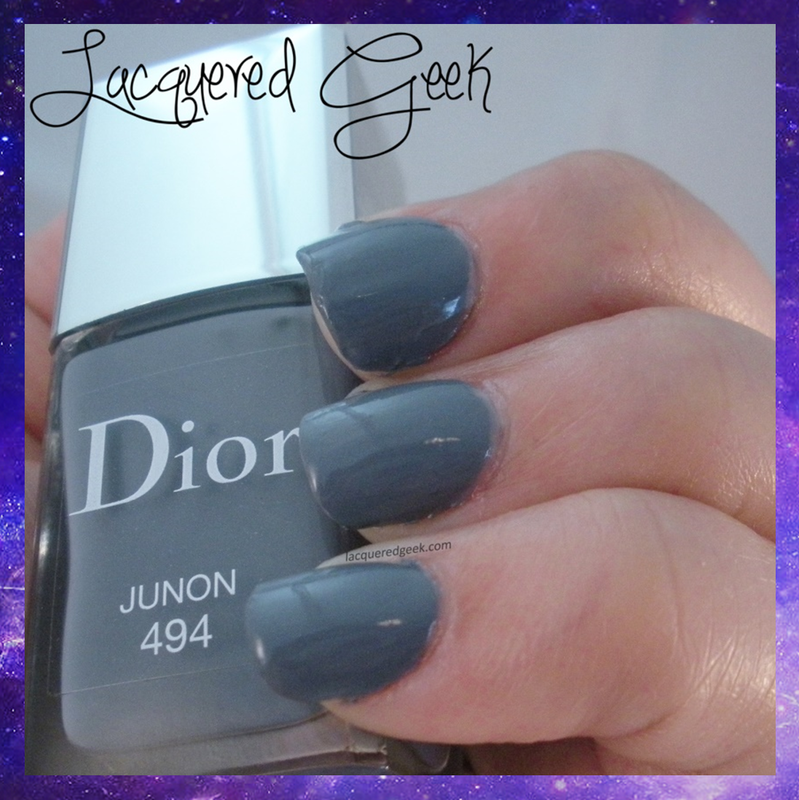 One of the polishes that I picked up was Junon from Dior. 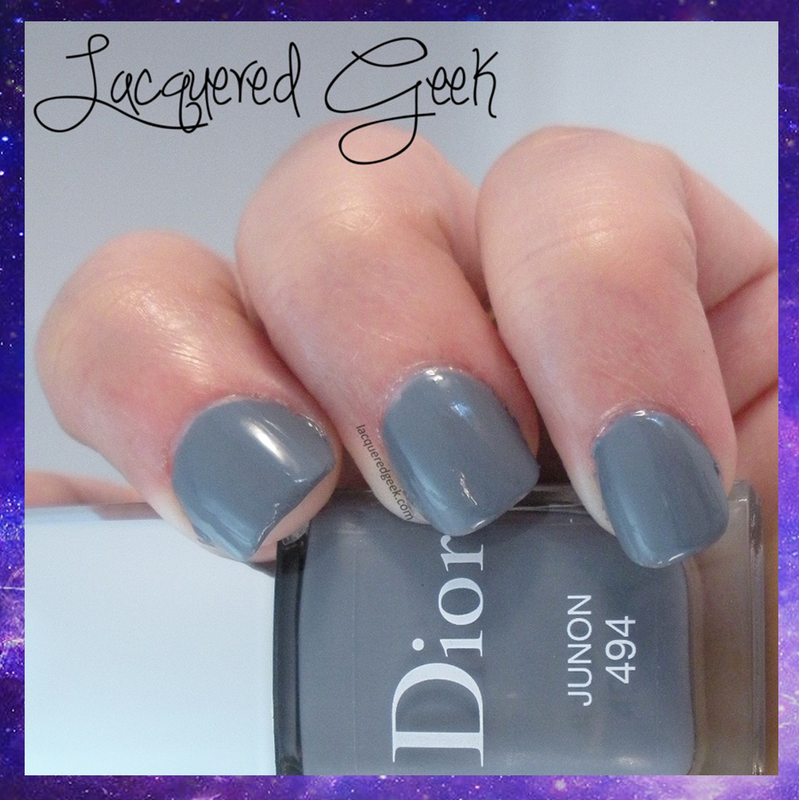 Junon is a dove grey creme that is blue-based. 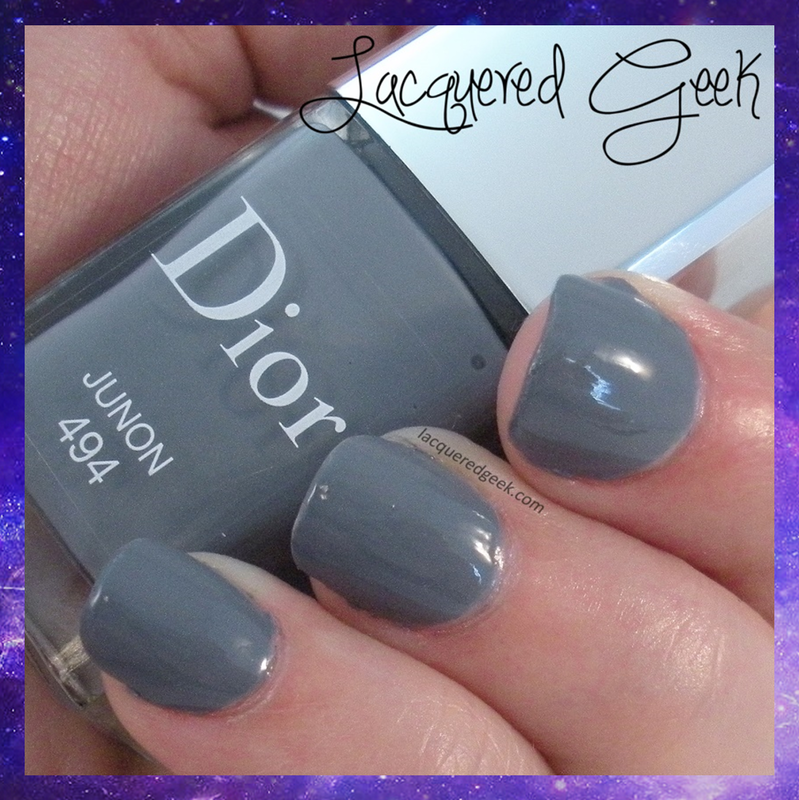 I have so many grey toned polishes, but none in this shade. I love how it looks with my skintone. The formula was very smooth. I thought it would need thinner coats, so I made the first coat a bit too thin, and experienced some balding. My second coat was thicker, and it was perfection! My only complaint was the wide brush. I know most people love the wider brushes, but I have small nails, and the wide brush just makes "staying in the lines" very difficult. Junon dries crazy-shiny! These photos are just the 2 coats of polish, no top coat. What do you think - if you had to choose, would you rather have a bunch of lower priced polishes, or a few high end polishes?